Tom Lenk is a famous American actor best known for his role as Andrew Wells on Buffy the Vampire Slayer. 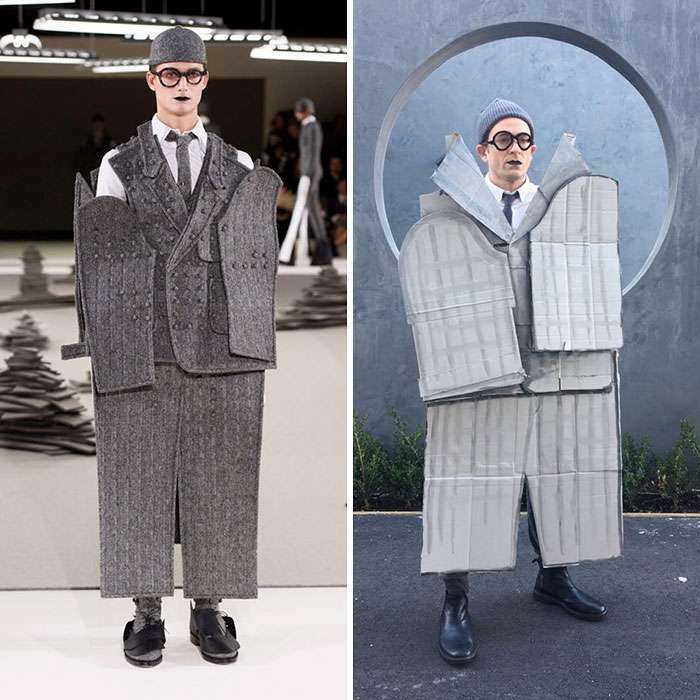 Only his Instagram followers know that apart from acting, the 41-year-old actor is also famous for taking a dig at the so-called fashionable celebrity outfits. The witty actor shows his creativity by recreating celebrity outfits from award shows, photoshoots by simply using household stuff. The stuff he uses for making his inspired outfits is worth a few bucks. Tom now has more than 370k followers on his official Instagram account and his followers love to see his witty side on the social media platform. 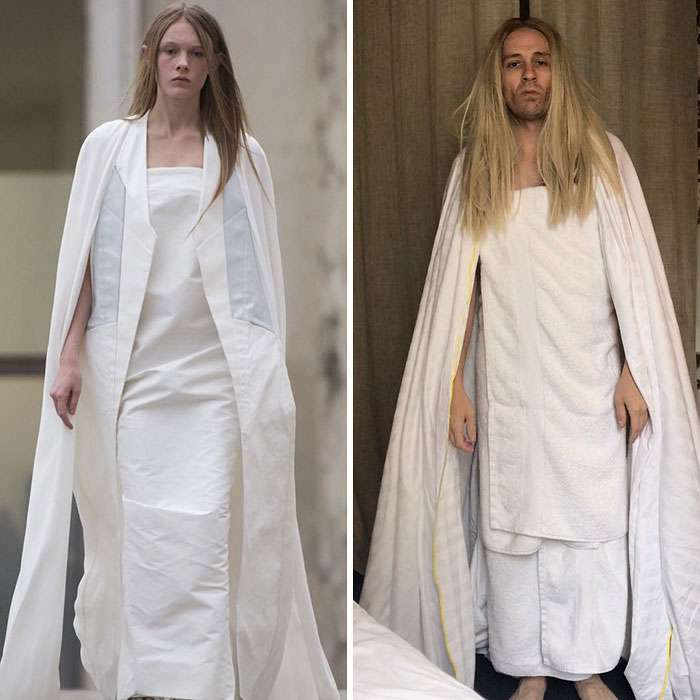 Below are few of his recreated celebrity outfits that will make you go ROFL. 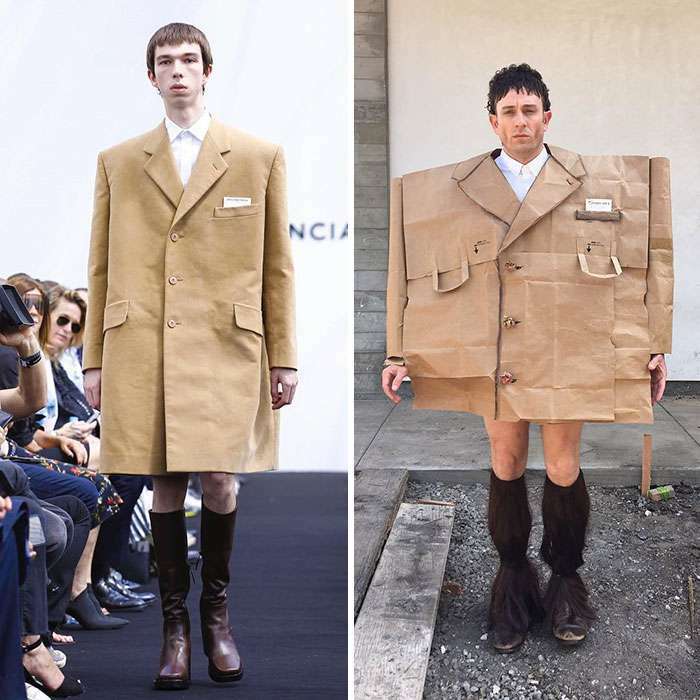 We wonder where to wear the clothes that are displayed in Fashion shows? 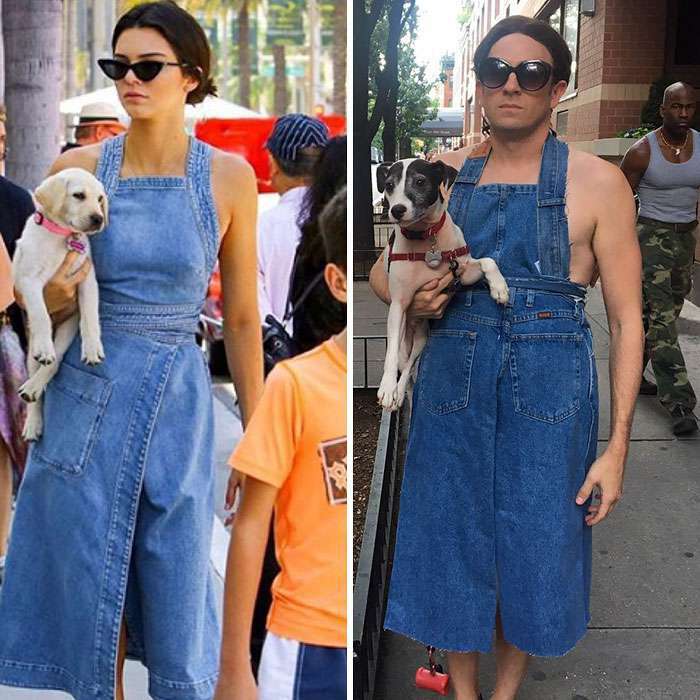 Kendal Jenner should get some fashion tips from Tom Lenk. You know what’s cheaper than the fabric? It’s Aluminium foil. 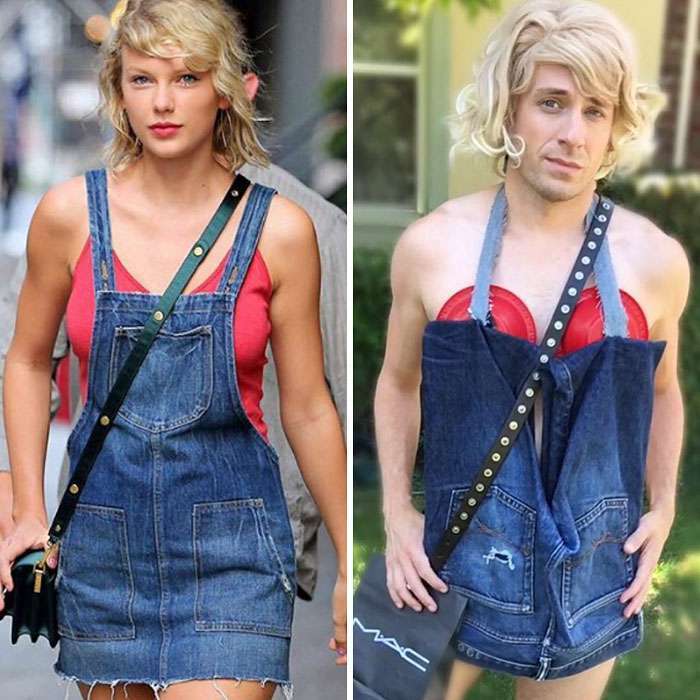 This guy is totally killing the game with these hilariously recreated celebrity outfits. You simply don’t mess with the Taylor Swift. Atleast, Tom can’t compete with Ariana’s cuteness. 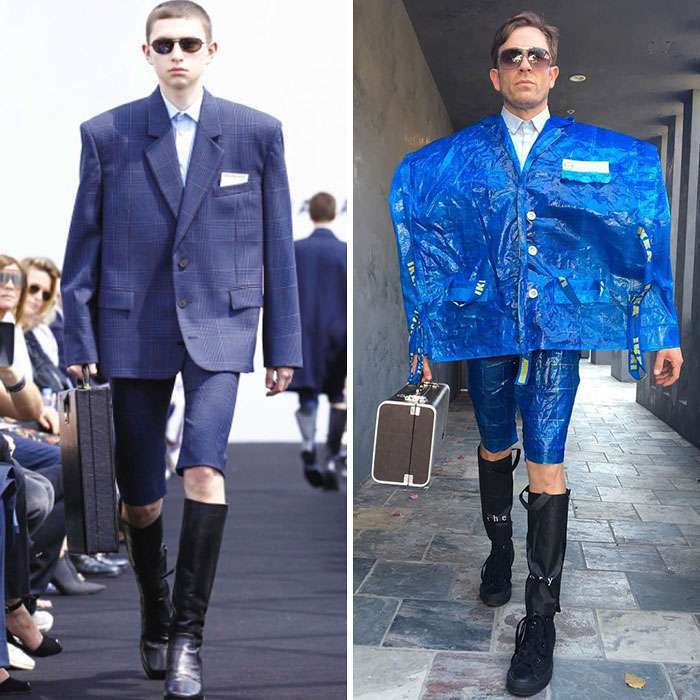 The fashion game these days is definitely moving in the wrong direction. You nailed it, Tom Lenk. Looks like a ghost is roaming the streets. Don’t miss: This Couple Who’s Married For 37 Years Wears Matching Outfits Daily. 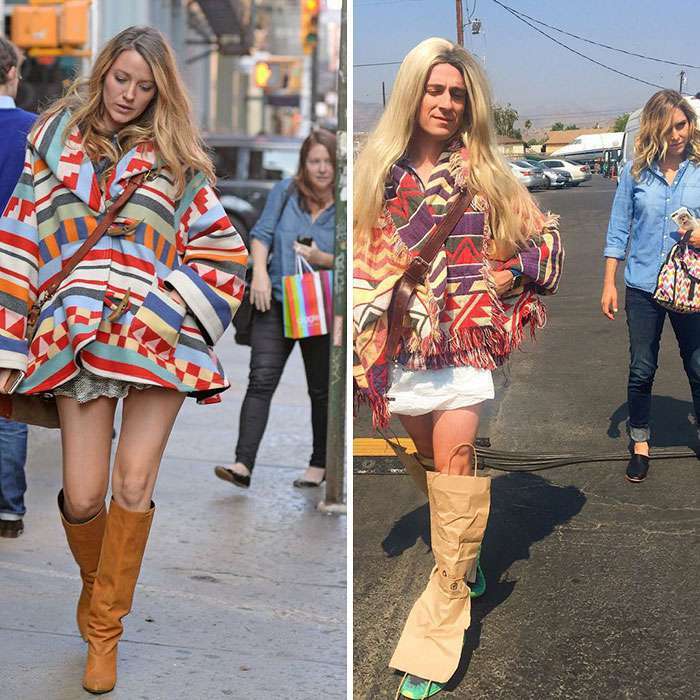 Do let us know if you liked these inspired and funny celebrity outfits. If you laughed hard after seeing these pics, don’t forget to share this article and follow Tom Lenk on Instagram. All Images Source: Tom Lenk’s Instagram.